Joanne Coleman , 87 of Samburg, Tennessee died on Tuesday, November 27, 2018, at Obion County Nursing Home in Union City, Tennessee. 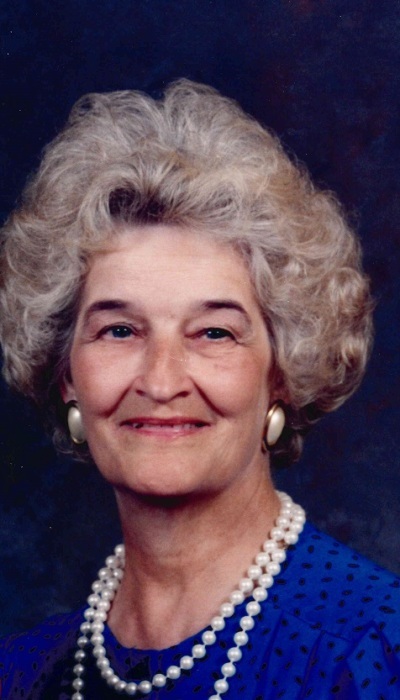 Born Saturday, March 28, 1931 in Samburg, Tennessee, she was the daughter of the late Jack Hogg and the late Effie Summers Hogg. She was a retired school teacher and parishioner of the Immaculate Conception Catholic Church in Union City, Tennessee. She dedicated her life to the Sisters of Charity Nazareth, Kentucky for twenty-seven years. Mass for Mrs. Coleman will be 11:00 AM on Monday, December 3, 2018 at the Immaculate Conception Catholic Church in Union City, Tennessee with Father Joey Kaump officiating. Visitation will be Monday from 10:00 AM until 11:00 AM at the Immaculate Conception Catholic Church in Union City, Tennessee. She is survived by two step-daughters, Pat Little of Newbern, Tennessee and Connie Norris of Chesterton, Indiana; one sister, Martha Arnold of Florida; four step grandchildren, Josh Medley (Emily), Matt Medley (Shawn), Kattie Bond and Amy Hughes and eight step-great-grandchildren. In addition to her parents she was preceded in death by her husband, Max Coleman; six brothers, Robert Hogg, Paul Hogg, Ed Hogg, Frank Hogg, Charles Hogg and John Hogg and two sisters, Sue Ellegood and Betty Collier. Online condolences may be made to the family at johnsonwilliamsfuneralhome.com. Johnson-Williams Funeral Home is honored to serve the family of Joanne Coleman.